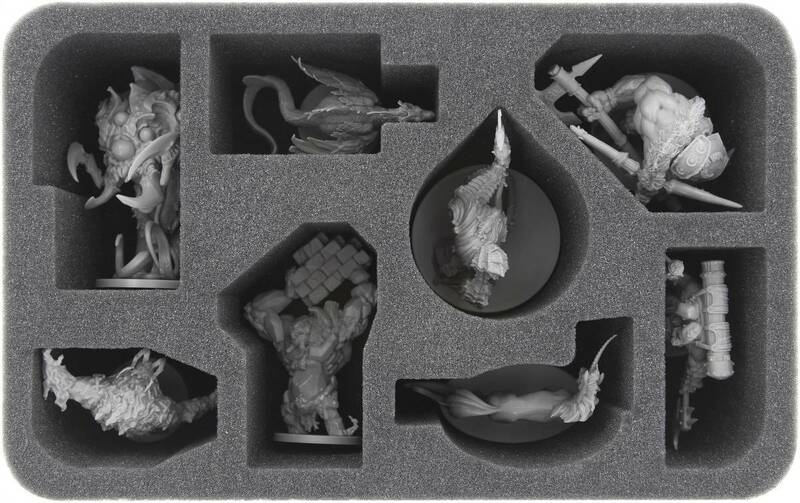 This foam tray for Massive Darkness is specially produced for your monsters. 8 compartments offer space for the big monsters. So you can transport and protect your miniatures. 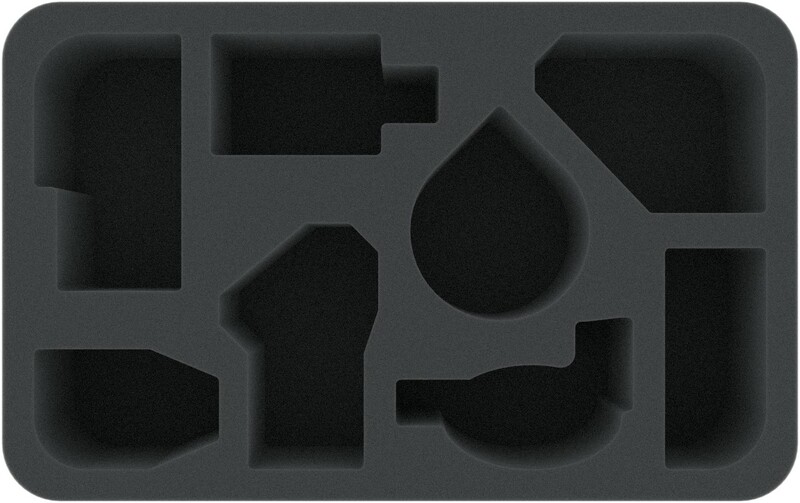 Dimension Feldherr Half-Size (HS) Foam Trays: 275 mm x 172 mm x 75 mm. 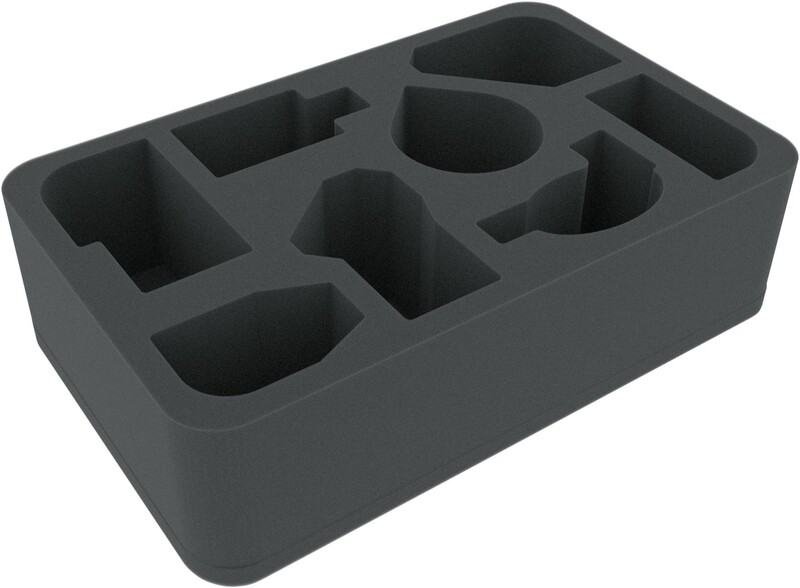 The 75 mm thickness for this foam tray is the result from 10 mm foam base and foam tray with 65 mm effective height.